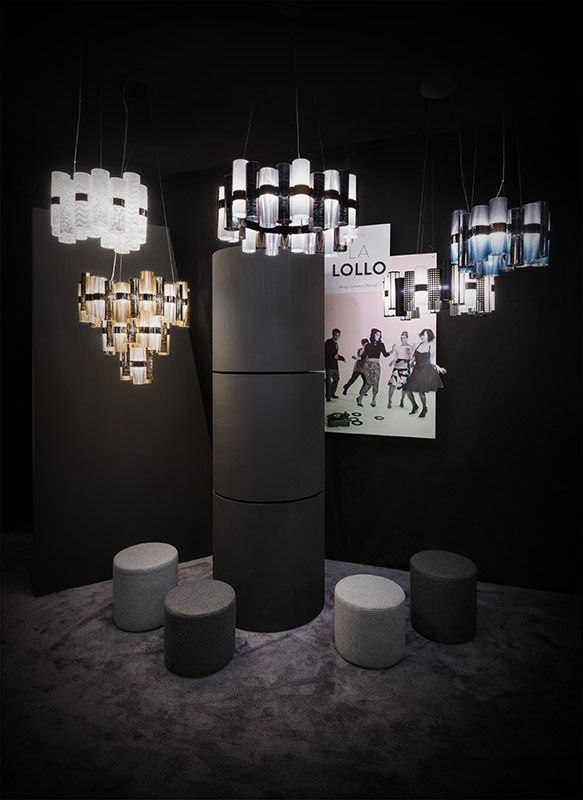 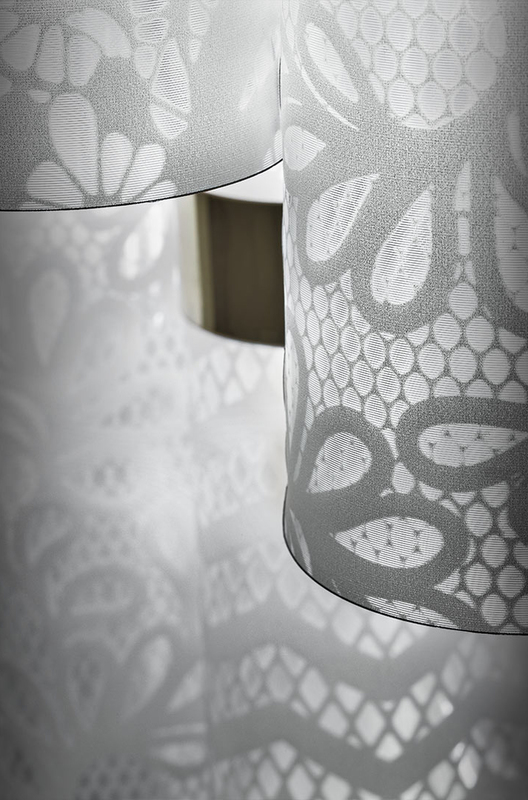 La Lollo is a tribute to the roaring 50’s, a series of graceful suspensions that reawaken images of divas in the spotlight. 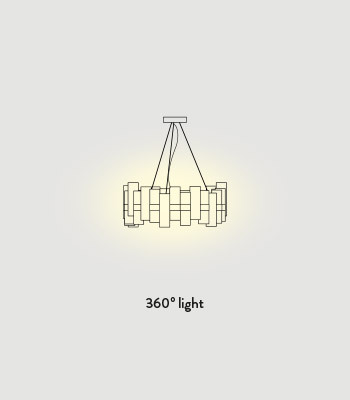 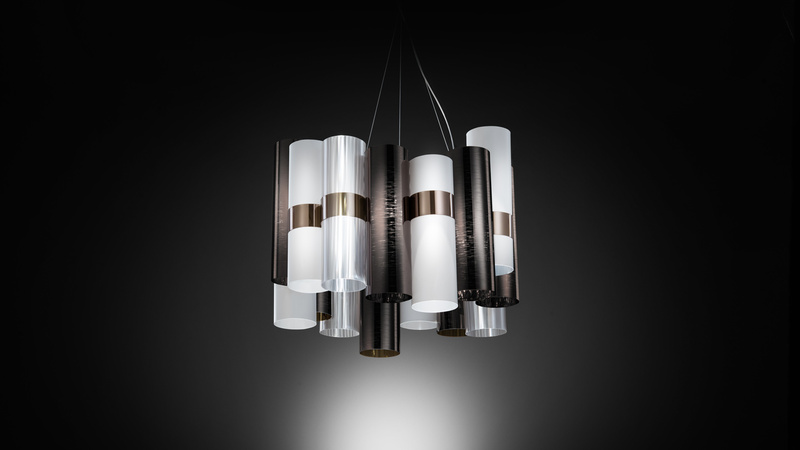 The patented techno-polymer cylinders, in varying shades of contemporary prismatic metallization and geometric patterns, alternate around a central, illuminated ring. 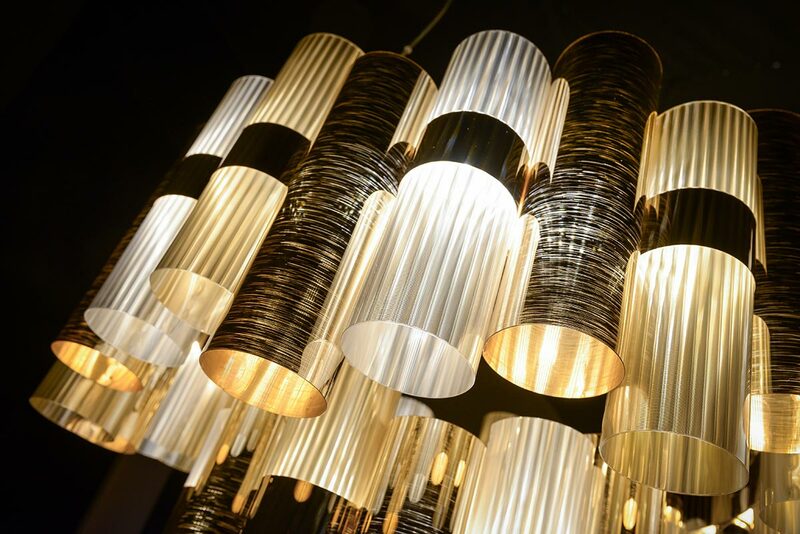 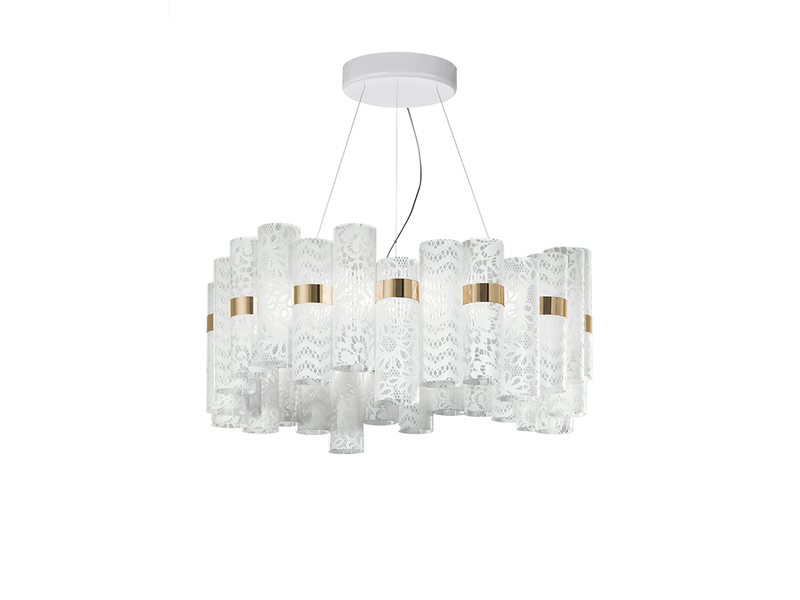 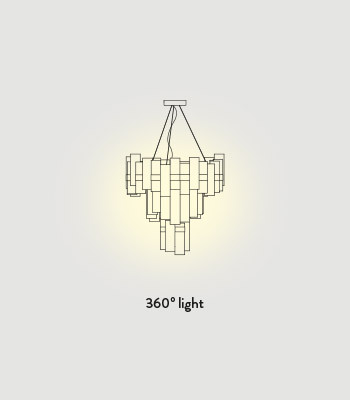 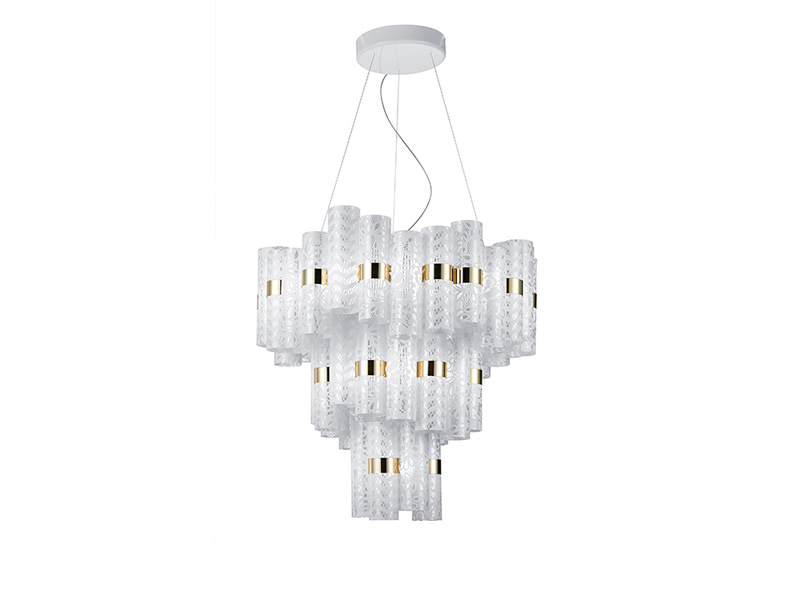 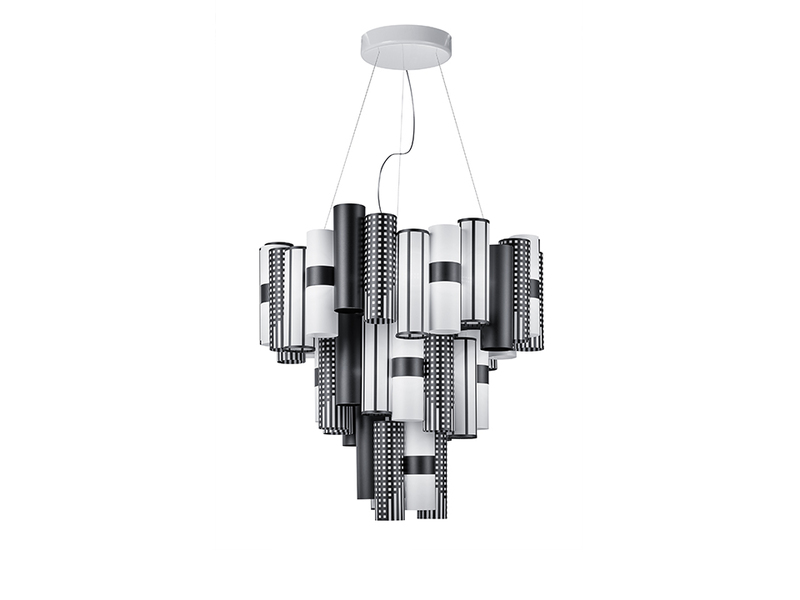 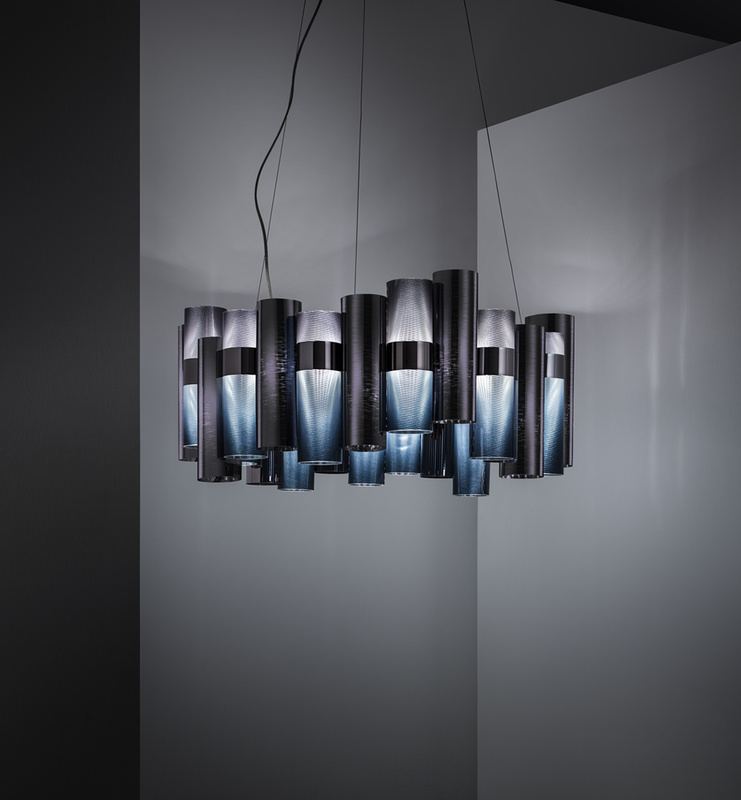 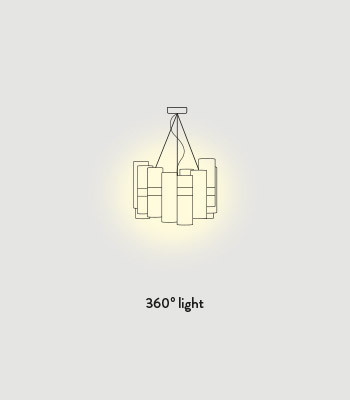 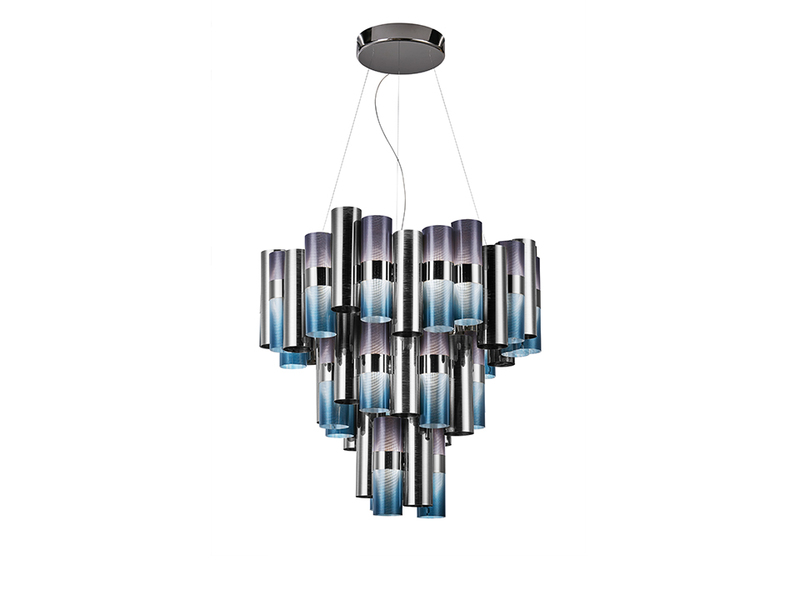 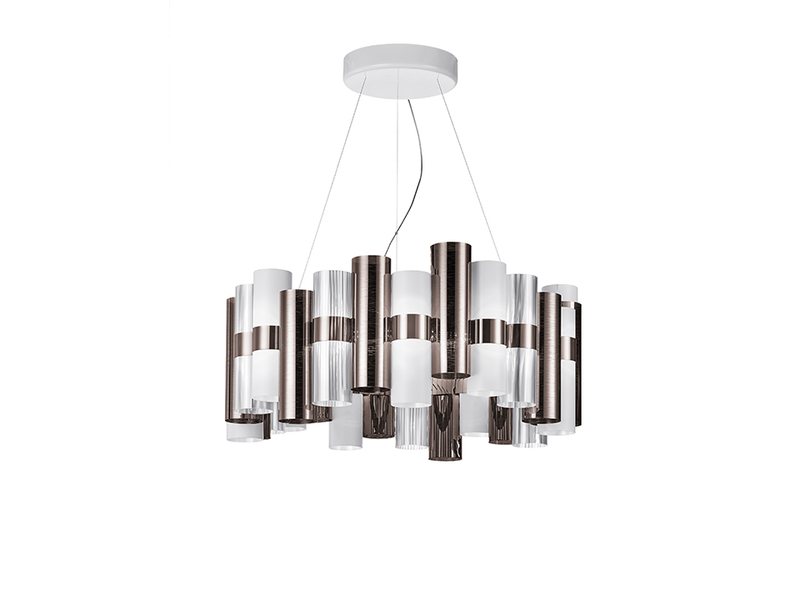 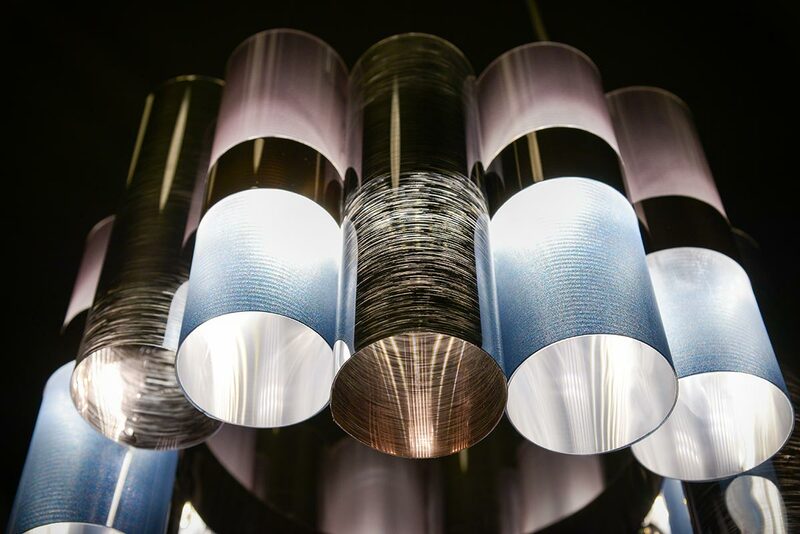 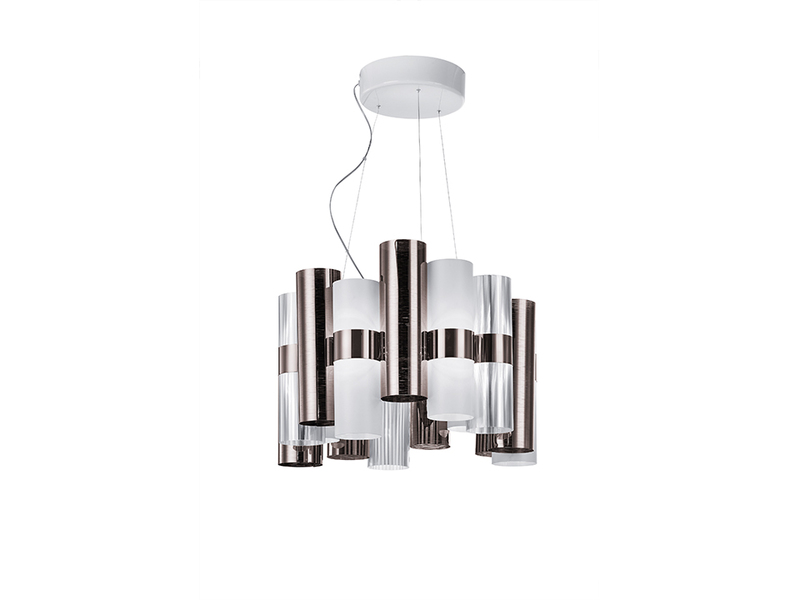 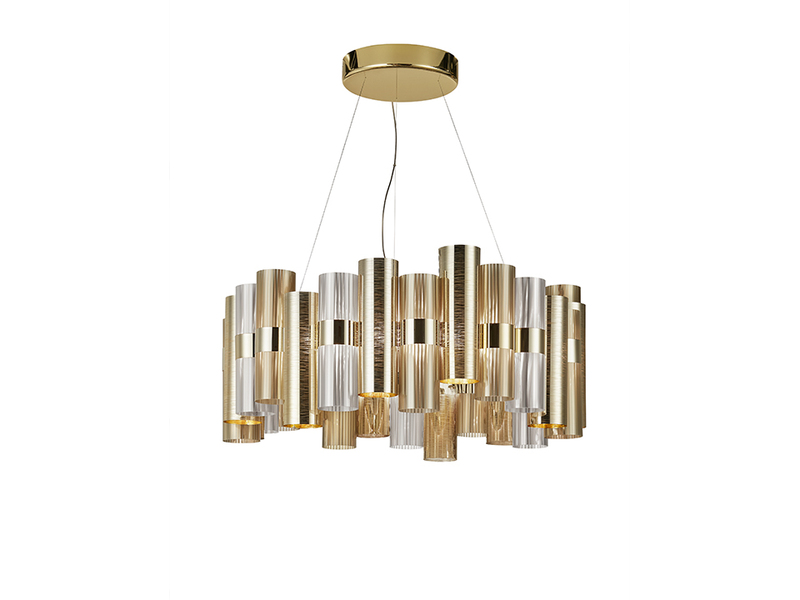 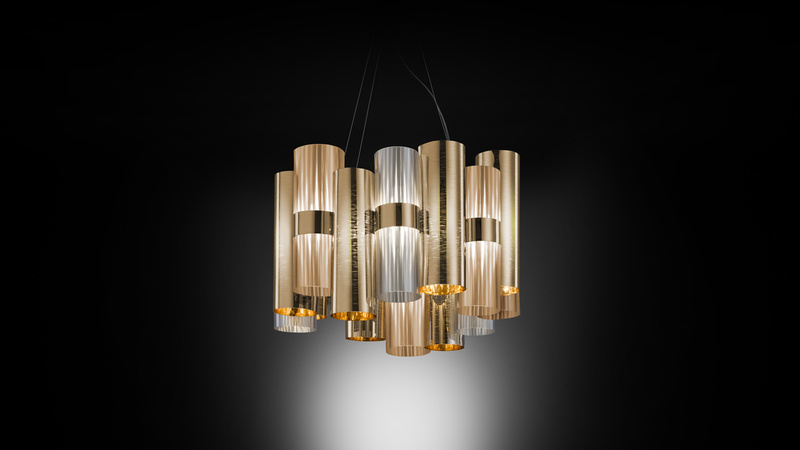 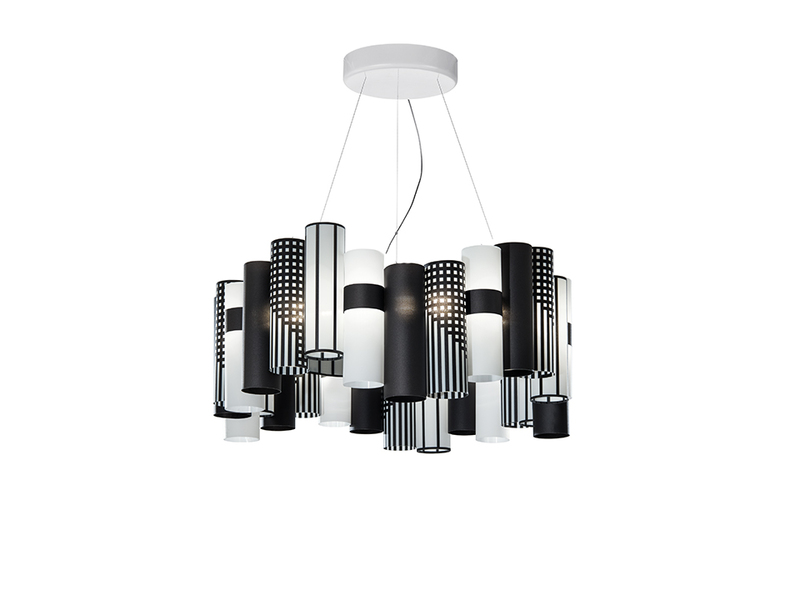 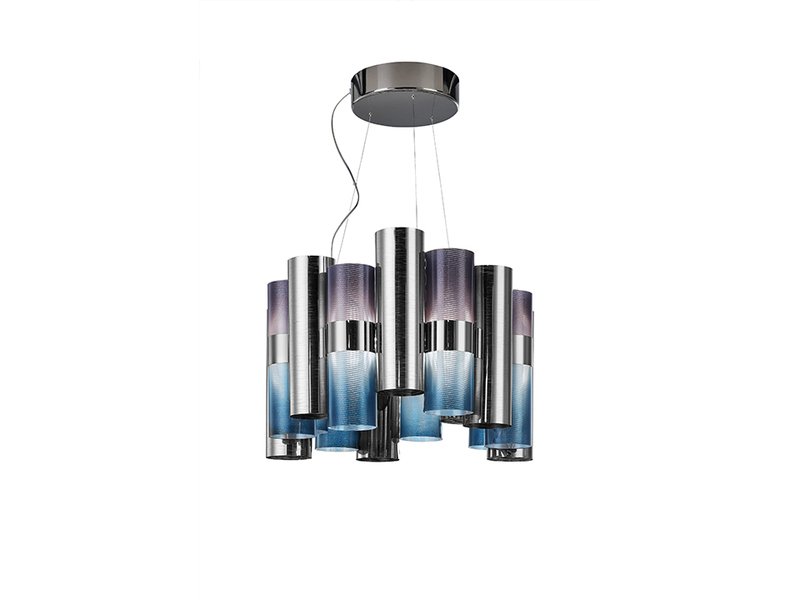 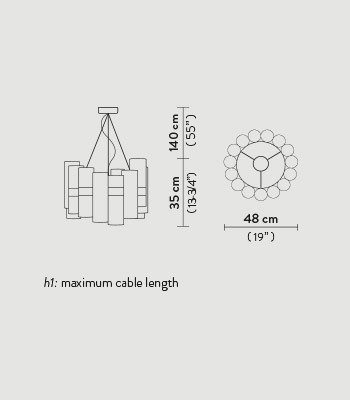 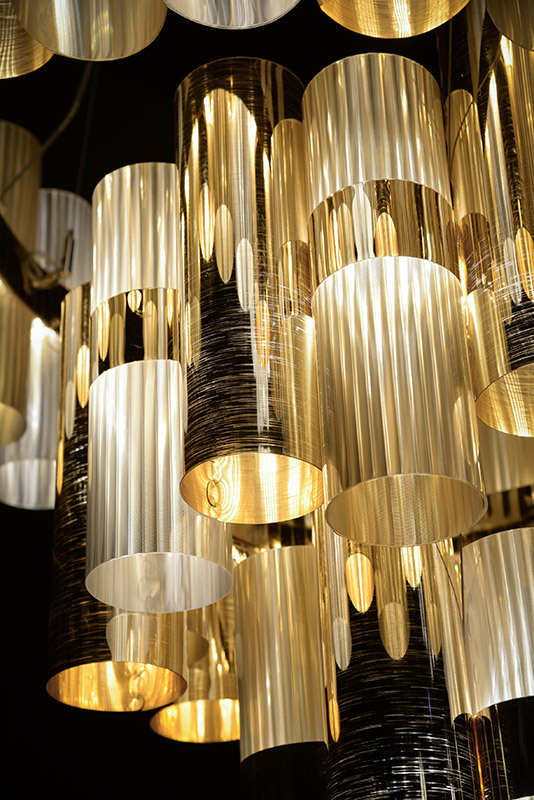 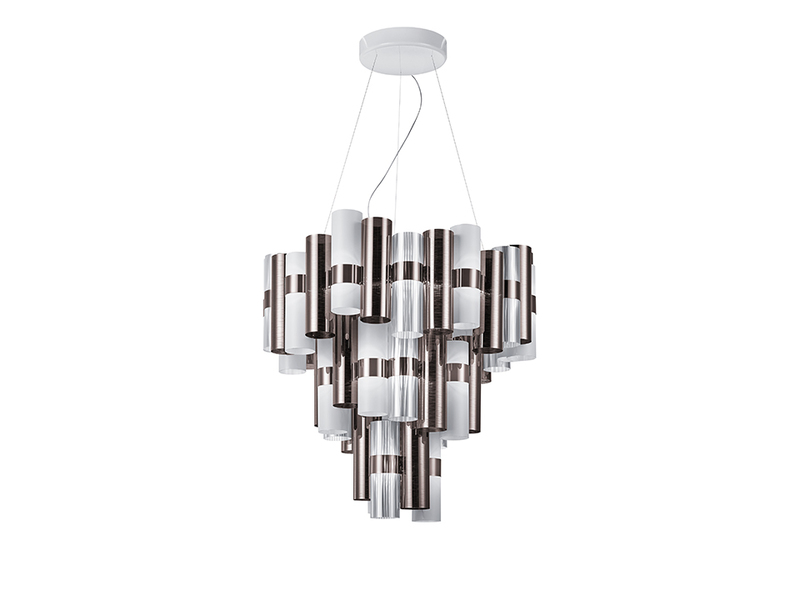 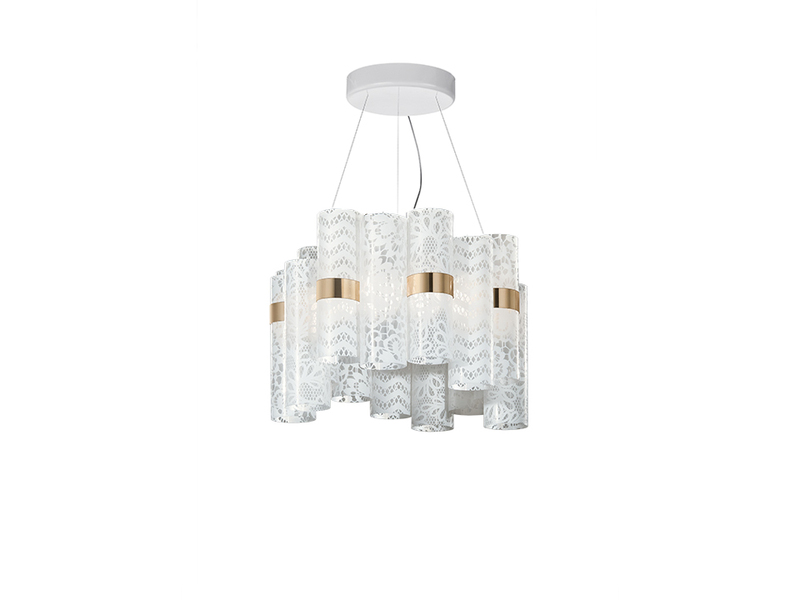 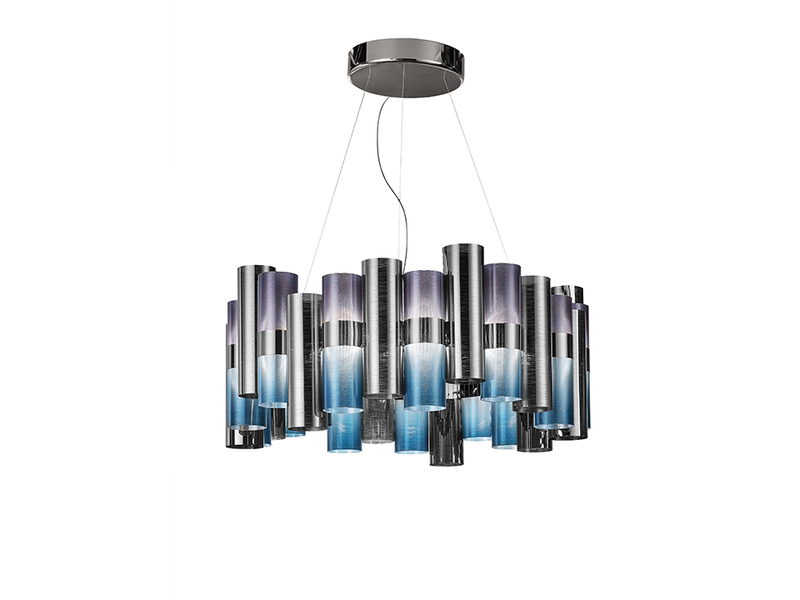 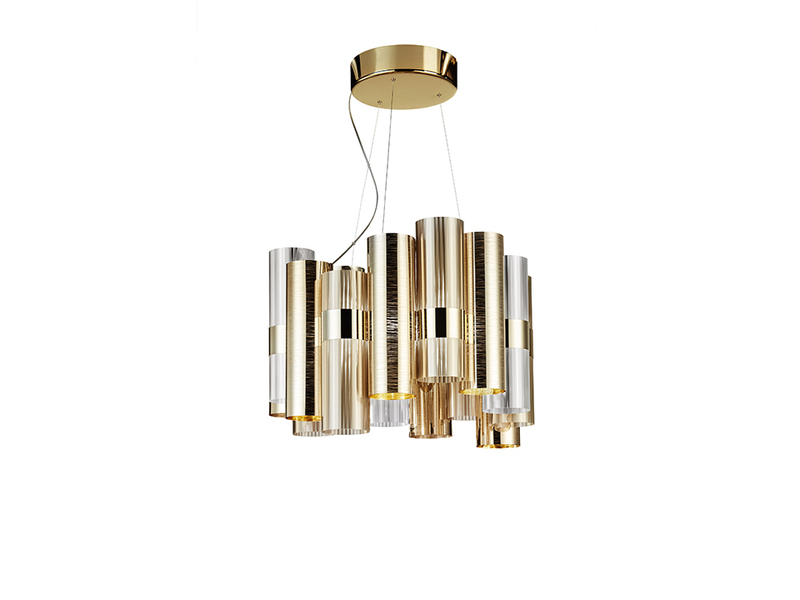 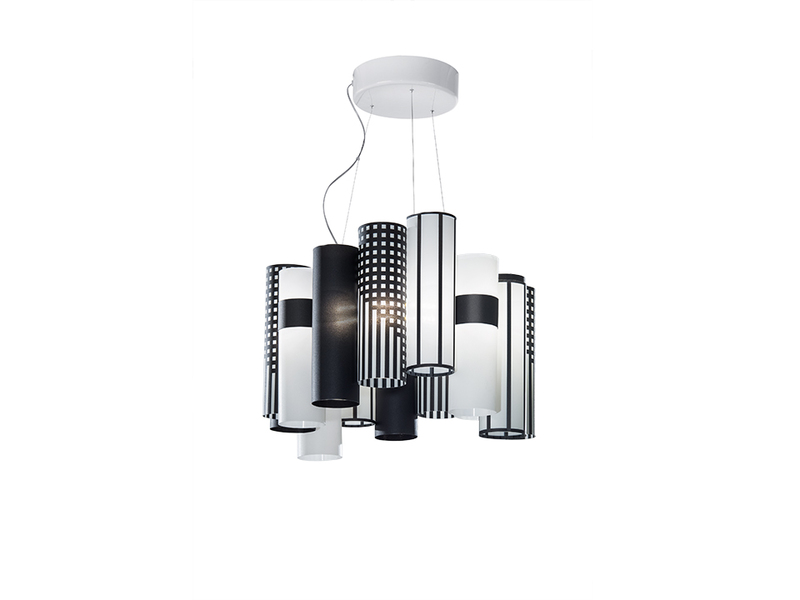 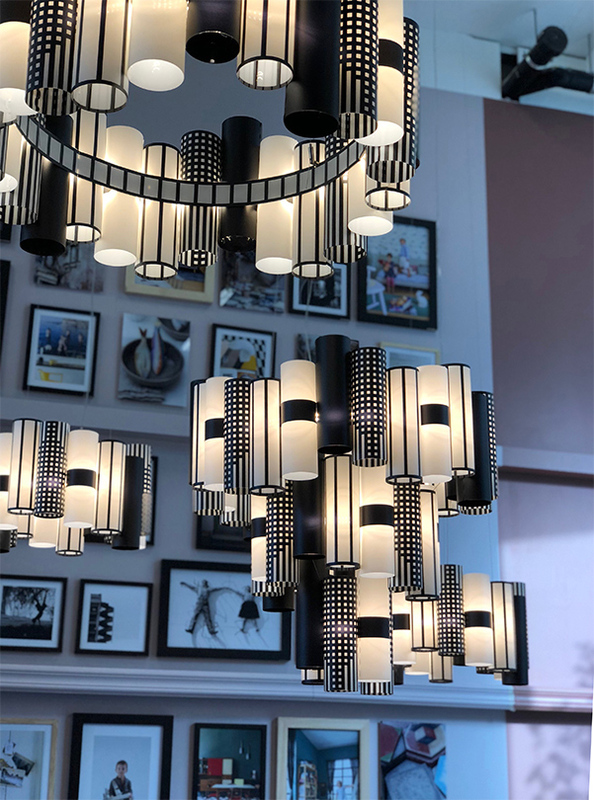 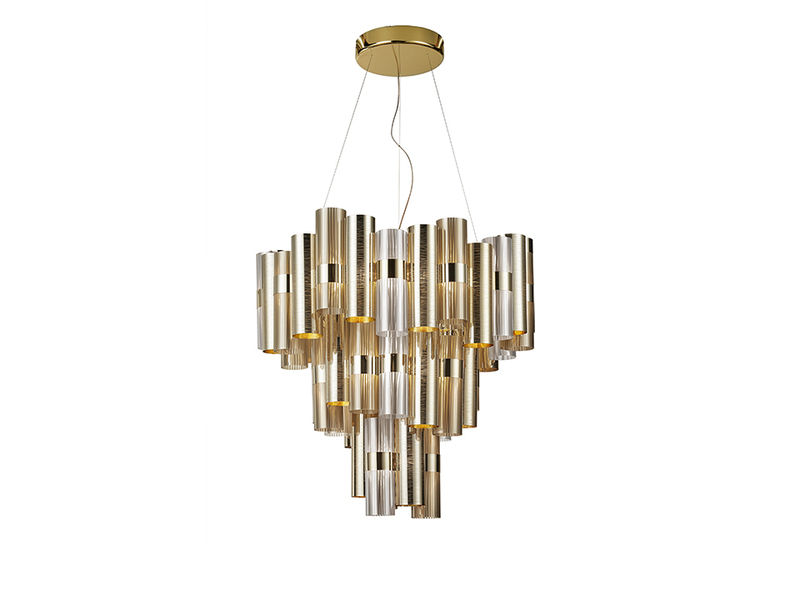 The collection includes 2 sizes, as well as an opulent chandelier, all designed for public or domestic spaces, or to be combined in dramatic installations. 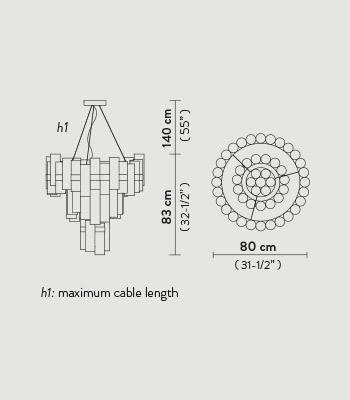 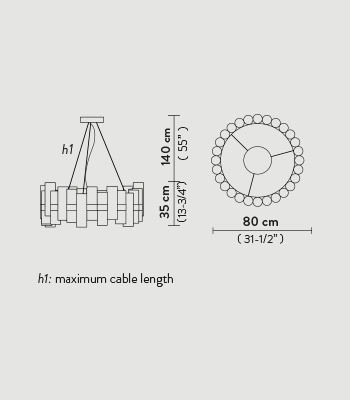 Package: 56 x 56 x h.44 cm / 22,04" x 22,04" x 17,32"
Package: 87 x 81 x h.47 cm / 34,3" x 31,9" x 18,5"